It’s Handmade is a UK based online shop selling gorgeous personalised jewellery for parents and babies, children’s toys and cute little knick-knacks. It is so cute, they even have some sets for papas! Watch out Grumpy Boyfriend! You are next on the list and will soon have your own piece of jewellery! More seriously, It’s Handmade is a very cute shop where you can buy adorable personalised items. All its products are hand-crafted. How about that for a unique present? It might seem a bit sentimental, but I think it’s such a gorgeous idea for mummies and their little ones! We received a bracelet set to write this review, but you can also purchase key rings, toys… and so much more! There is something to like for everyone! We were lucky enough to receive a gorgeous Personalised 925 Sterling Silver Mummy and Me Bracelet Set. The website offers a great choice of suede or suede beaded bands with some cute colours! We went for the Blue Denim version and it looks truly gorgeous! I also like the fact that this is a limited edition with a Tiffany-inspired 925 sterling silver heart pendant. For discretion reasons as Baba’s real name remains top secret on our blog, I will not share pictures of our actual set. The Frenchie Baba is yet a star but I like the fact that you mostly know him by his nickname. I am not the shy type and love attention, don’t get me wrong! I think you would have understood it by now. But my Baba’s name is a little something that I keep secret from mes lecteurs. I am sure you don’t mind! As it’s a personalised item (you can add your own personal message when you order your bracelets), we have a message in French that says ‘Maman aime ****’ and vice-versa. Baba has not yet worn his version as it’s not suitable to use as a toy for children under 36 months. Mais I kept it for later on, probably on a special occasion. And yes, my son will wear a bracelet. I don’t see anything wrong with that, especially when it’s blue and it says on it that he loves his Maman! After all, David Beckham wears skirts, so pourquoi pas!? I am in love with mine and I wear it all the time. Both the colour and the fabric used are simply gorgeous. Plus I have not seen anyone yet having something similar. I love being different and this item is parfait to be unique! It’s easy to adjust so that you can wear it more or less loose. The 925 Sterling Silver heart pendant is truly gorgeous too and seeing this message when my Baba is away from me reminds me of him and how much it’s nice when he is not around. It’s so peaceful and quiet! Just kidding! I reckon every time I look at my bracelet, I probably have a silly smile on my face thinking how beau (and cheeky!) my Baba is! As I previously said, I am quite boring when it comes to offering something to my Maman. I wish I had known this fabulous website before. It’s so original and you can find something for anyone. Check out the toys section too. A lot of its items would make a great unique present for a newborn! With prices starting from £10, it’s a bargain! Do you think it’s fab? Or do you know a mummy who would deserve such a treat? Then enter now our GIVEAWAY for a chance to win a Mummy & Me Bracelet Set too! 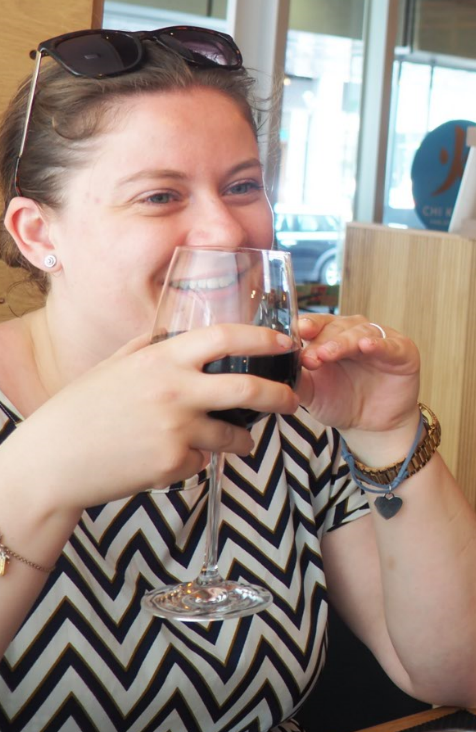 Disclosure: We received a free Mummy & Me Bracelet set in exchange for this review. All opinions are my own. I hope you liked reading this It’s Handmade Mummy & Me Bracelet set Review. As you can see, this accessory has fully become part of my outfit! 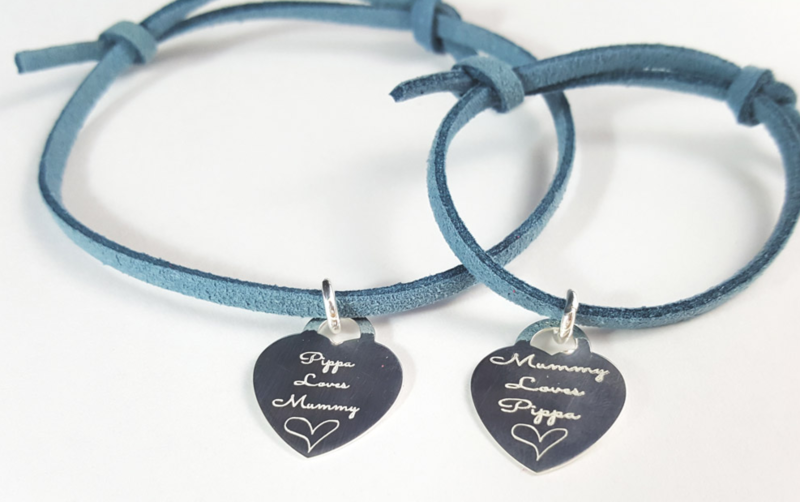 And because we strongly believe that mummies need to be spoilt all year through and not only on special occasions, we have teamed up with It’s Handmade for one of our lucky readers to win a Mummy & Me Bracelet Set. Entry into this competition confirms your acceptance of these Terms and Conditions and your agreement to be bound by the decisions of the blog.We will notify the winner via email or Twitter. Provision of the prize is the responsibility of It’s Handmade. Great giveaway thanks for the chance ? They would make a lovely gift – it’s nice to have something to keep. They are absolutely lovely and I would love to wear one along with my daughter. Love personalised jewellery. It’s the perfect present. Thank you so much, my wife is such an amazing mother to our son! She deserves more than I could ever hope to give her!! Great giveaway, who do I give it to if I win! These bracelets are adorable. Great giveaway! I love presents that mean something. I would actually pick Pippa for the bracelet for my niece and her mum. Such a lovely prize, would make a lovely gift for my Daughter. Lovely pics, lovely review and lovely giveaway. Thank you. Just love this idea, would be great for me and my daughter. these bracelets are so pretty! Such a lovely idea, they are beautiful. What a fab unique item. Love this. These are lovely so special! What a fab giveaway! My sister in-law would love this! Perfect gift! Previous Previous post: Living Arrows 22/52 – A Week Full of Frenchie Adventures!